Africa has lost one of its greatest sons. Today, December 5, 2013, Nelson Mandela went home to the Ancestral World. The world is lighter today and the African ancestral world is heavier. Some people pass away and it takes time to assess their histories; others pass away and you know by their works that they will be remembered forever in human history. Mandela was great not because he was a great president; he served only one term as president and during that time Thabo Mbeki was the effective administrator. He was not great because he wrote great books that became bestsellers. He was not great because he was some distinguished intellectual philosopher who razzle- dazzled us with his brilliance and eloquence. He was not great because he became a famous boxer, although he wished he had become one. Mandela’s greatness resided in his character; this was the core of his charisma. He was a great man because he found the ability to make pragmatic politics while maintaining his revolutionary principles against racism and oppression. He was great because although we know how much he hated racism he seemed to live a life without any outward show of rancor and revenge. 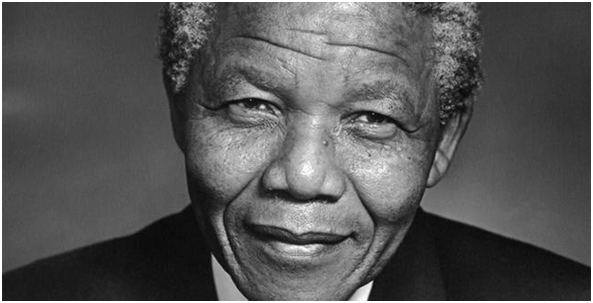 Moses, Buddha, Jesus, Muhammad, nor King lived a more authentic life than Nelson Mandela. The awful prison on Robben Island where he did hard labor for eighteen of the twenty seven years of his imprisonment for seeking to liberate his people had taught him patience and as he once said, had matured him to the extent that he was able to defeat his oppressors with a thundering sense of internal power. Imperfect, he saved his nation but left his people seeking land; imperfect, he avoided bloodshed but created resentments; yet in his imperfections he gave the things that he could and protected the innocent and the poor from the most ruthless forms of an imperial capitalism. It will be said that he allowed the white minority government to outwit the African National Congress; it will be said that the ANC did not bring into existence their own plans; and it will be said that Mandela was honored because he allowed whites to remain in economic control. This is a simple conclusion, but the truth is far more complex. Mandela never gave up his struggle for the dignity of black people and did everything pragmatically possible to recover the nation that had been mortgaged to the hilt by the previous racist regime. In effect, when his party came into office they discovered something that they did not know: the country was laden with international debt that stifled the progressive and radical agenda of wealth redistribution. He loved the traditions of Africa and celebrated the great warrior traditions of his own native Xhosa people of South Africa. His Afrocentric consciousness grew as he learned more about the history of the African world. Now that Madiba has gone home, South Africa will have to face the challenges left undone. Still, the privilege of the minority overwhelms the majority; still, the rich and white control nearly 80 percent of the land and more than 90 percent of the wealth of the nation; consequently, the inequality in the nation will increasingly demand action to minimize the gulf between the rich and the poor. There is no other Nelson Mandela waiting in the wings ready to take the stage. South Africa will have to find the answer on its own. It is to say that more likely than not the answer will be found in the agency of the people themselves rather than from without. Herekh! Herekh! May Mandela’s spirit fill the universe with love forever!